The Coffs Harbour campus began in 2001. A purpose-built facility was opened in 2005, and a substantial extension was completed in 2012 at a cost of nearly $2 million. The building has two large lecture theatres, an extensive skills laboratory with simulation capabilities, a computer laboratory with 20 places, several tutorial rooms, three well equipped consulting rooms, a number of academic offices, a six seat research/ILP office, a large academic and student common room with adjoining kitchen and an administrative suite. Uniwide wi-fi connectivity is available across the campus. Two rooms have built in video-conference facilities. Immediately adjoining the campus building is an accommodation block with space for twelve students. The Coffs Harbour Health Campus was opened in December 2001 and has 236 beds. The hospital provides level 5 facilities as a Base Hospital with a catchment population of some 100,000 people. The cancer unit is now fully operational and has two modern radiotherapy units. MRI facilities have been installed and there is a fully featured simulation centre. 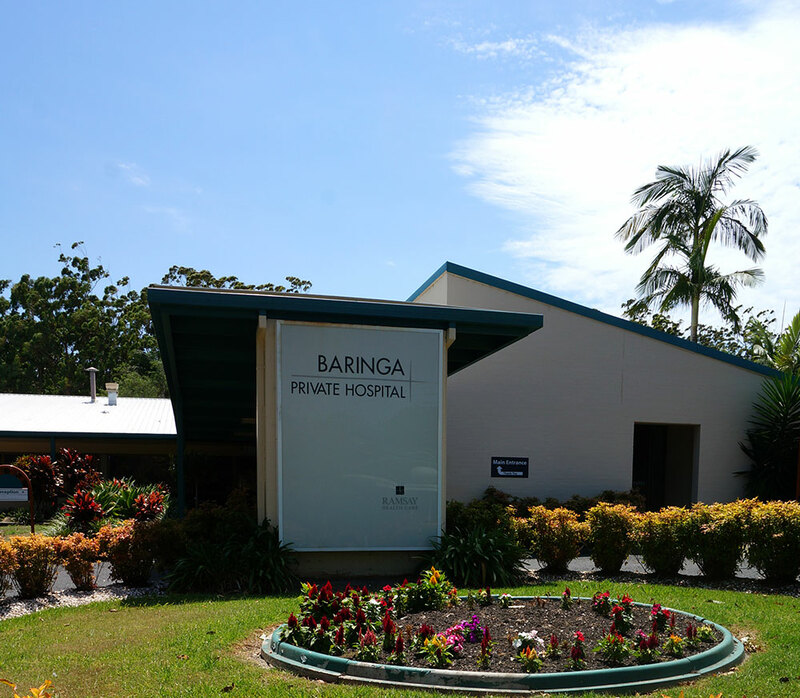 Baringa Private Hospital has 80 beds and includes a private rehabilitation unit. Students have access to both the public and private hospitals. Specialties available at Coffs Harbour include: intensive care, emergency medicine, pathology, psychiatry, general surgery, general medicine, cardiology, nephrology, respiratory medicine, gastro-enterology, orthopaedics, urology, plastic surgery otorhinolaryngology, ophthalmology, urology, obstetrics and gynaecology, paediatrics, oncology, rehabilitation medicine, endocrinology, haematology, rheumatology, radiology, radiotherapy, vascular surgery and dermatology . Visiting specialists conduct dermatology, neurology, neurosurgery and infectious diseases clinics. Many of the general practices in town are happy to accept students for the Primary Care course. A number of local primary care physicians have special interests and this provides a rich source of clinical material. Coffs Harbour is situated on the Mid North Coast of New South Wales. The physical location of the city is very attractive set as it is between the peaks of the Dividing Ranges and the coast. Coffs Harbour is 554 km north of Sydney (seven to eight hours drive) of Sydney and 427 km (five hours drive) south of Brisbane. Qantas, Virgin and Tiger provide regular services to Sydney and Brindabella Airlines to Brisbane. There are also bus and train connections to both Sydney and Brisbane. 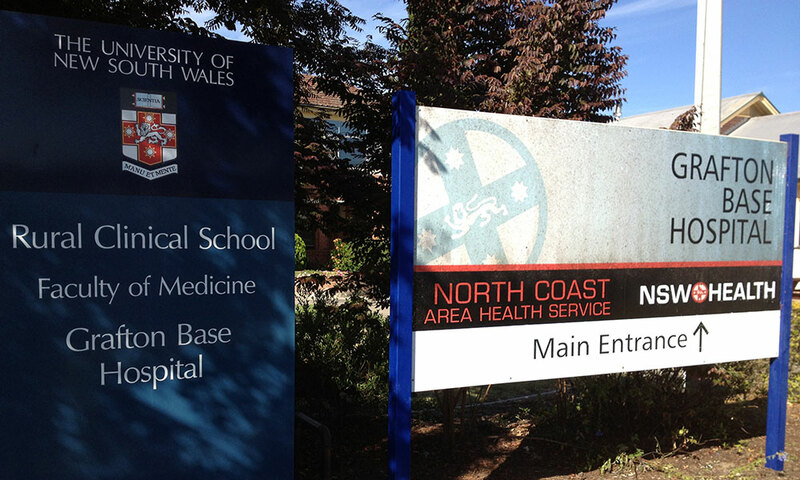 The campus is located within the Coffs Harbour Health Campus at 345 Pacific Hwy, Coffs Harbour, 2450. Coffs Harbour's population is approximately 68,000 which increases greatly during holiday periods. The city also has a good range of modern educational, health, entertainment, commercial and sporting facilities. Southern Cross University Campus is about 500 metres away from the Rural Clinical School and its social, sporting and recreational facilities are available to our students at a very reasonable cost. The Coffs Harbour area has many beautiful beaches, rain forest reserves, rivers and spectacular waterfalls, which make it a popular tourist destination. The area offers a wealth of outdoor and indoor recreational activities including surfing, fishing, scuba diving, whale watching, white water rafting, sailing, golf, tennis, bushwalking, mountain bike riding, ballroom and tap dancing, fencing, skydiving, jet skiing and even learning to fly. Team sports like hockey, soccer, football and cricket are freely available. There is also a chess club and a bridge club. 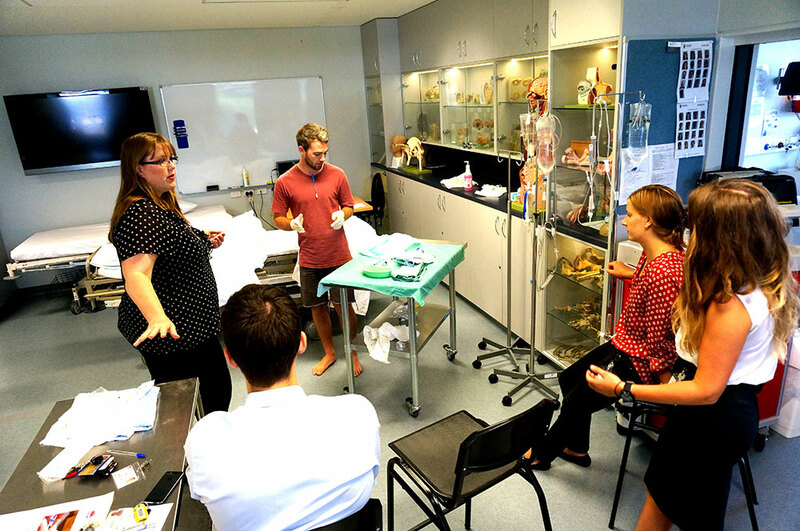 Coffs Harbour Rural Clinical School provides Phase 2 and Phase 3 experience. Phase 3 is delivered over a two year period. Students will start by taking the medicine, surgery or ED/Selective courses during the first three teaching periods of their fifth year. After these courses, they will be arranged in four streams and will complete the courses in primary care, obstetrics and gynaecology, paediatrics and psychiatry during the latter half of the fifth year and the first part of the sixth year. The Summer Teaching period, in their sixth year, is spent as an elective term. The teaching period immediately before the final examinations is devoted to the eight week selective term which allows for plenty of revision time. Any student who has missed a course for any reason can complete it during this term. Most students will spend four-week periods at the Grafton Base Hospital as part of their paediatric, obstetrics and gynaecology terms. 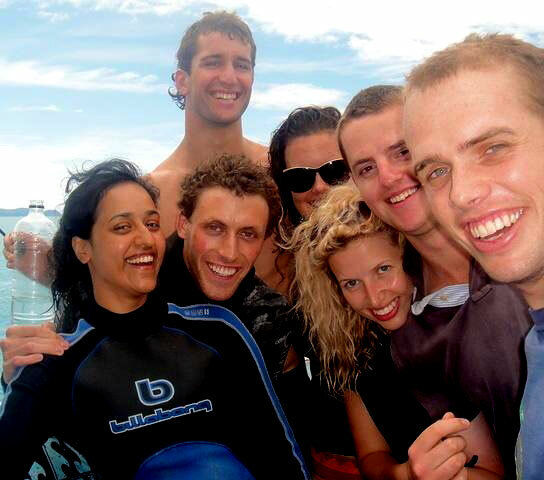 Grafton is about one hour north of Coffs Harbour, and provides very good clinical experience. Students have the opportunity to undertake their primary care term in outlying regions such as Dorrigo, Bellingen and Macksville. All of these smaller towns are within one hour driving distance from the Campus. Training is ward and clinic based with students acting as junior members of the clinical team. Opportunities to visit specialist rooms are freely available and such visits are encouraged. Frequent specialised clinical skills labs are also available. Didactic lectures covering the principal disciplines are held in the School throughout the year. Sydney-based lecturers visit to continue the biomedical science teaching. There are also regular pathology and radiology tutorials. After the final examinations, students undertake the PRINT term (pre-intern term). This takes place in the hospital and students are encouraged to act as mentors to the juniors following them. 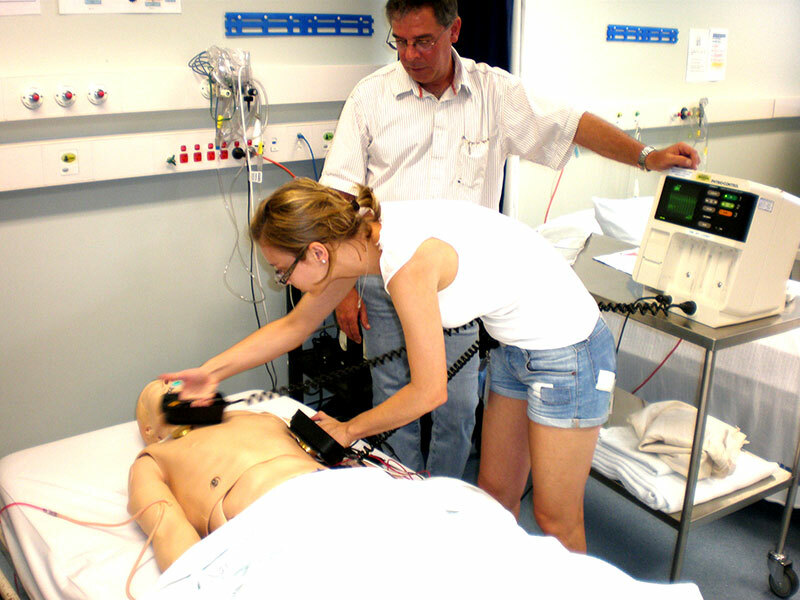 The Coffs Harbour Rural Clinical School is able to offer Independent Learning Projects at its Campus for 4th year students. Topics are posted on the 2014 ILP projects page but other projects can be negotiated with individual supervisors. B Sc Hons students can be catered for. The necessary extra, non-medical units of credit are available at the Southern Cross University Campus at Coffs Harbour. Students MUST have a letter from the ILP Office (Sydney) attesting that the chosen units are acceptable and appropriate. For more information about Independent Learning Projects available, please contact Dr. Alison Seccull, Acting Head of Campus. The situation is fluid and new topics with new supervisors are cropping up all the time. Students should note that there is the potential for a $3000 grant at all of the RCS Campuses for projects on this topic. Library resources are shared with the hospital and located at the hospital Education Unit. This library has subscriptions to many of the principal medical journals from around the World. 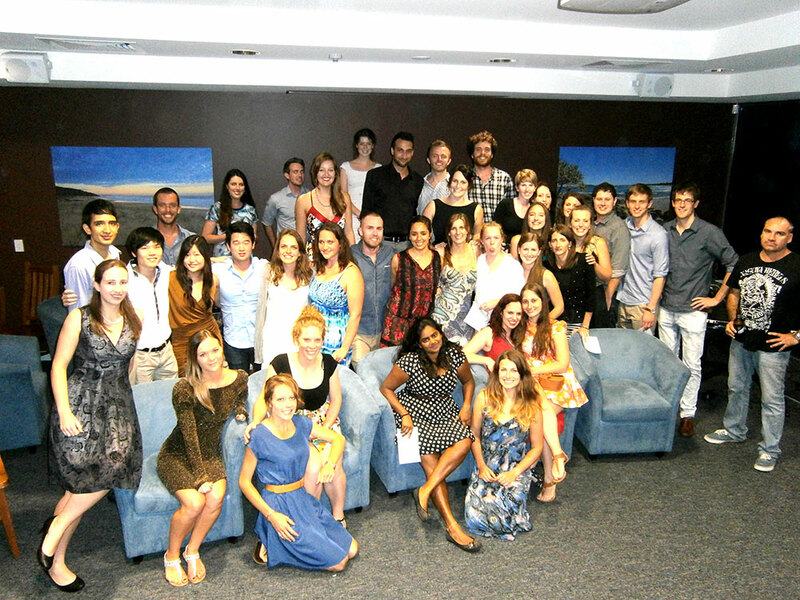 Students take time out to chat about living and studying at the UNSW Rural Clinical School's Coffs Harbour campus, and why they wouldn't trade their experience for the world.